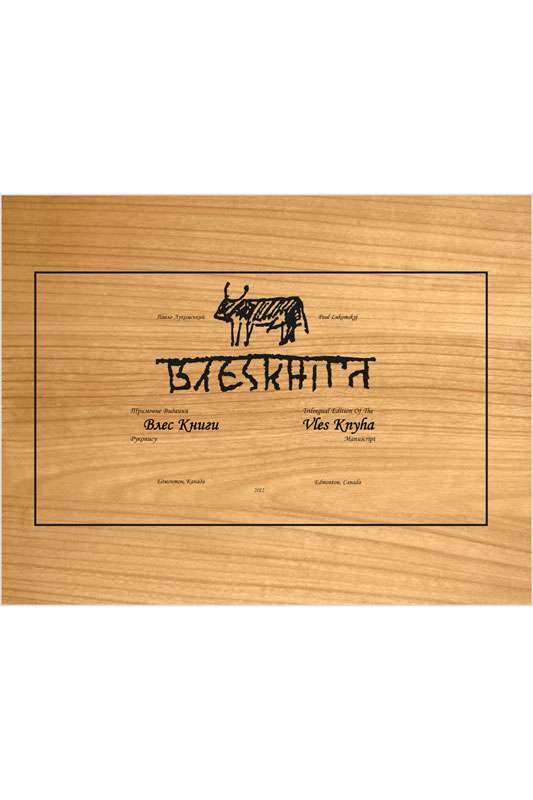 Vles Knyha is an ancient manuscript, inscribed on wooden boards, consisting of a set of patriotic discourses. This work is also a brief recorded tale of a clan of Slavens, which during various eras called itself Rushtis, Rosh, Rusiches, or Ruses. To date almost all scholars who have studied and commented on the Vles Knyha manuscript have been either of Russian or Ukrainian ancestry. 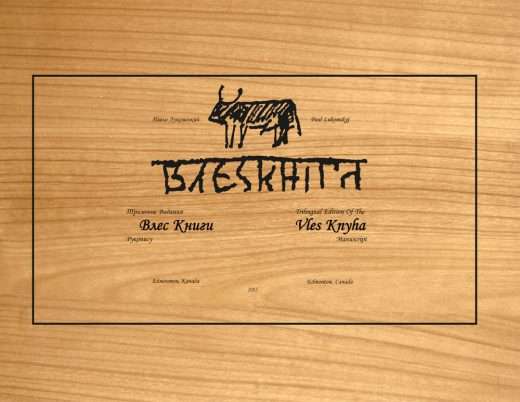 The main purpose of this trilingual publication is to provide non-Slavic scholars with a complete and easy access to the entire text of Vles Knyha in English. Vles Knyha is a manuscript originally inscribed on wooden boards durring several centuries of the first millenium AD. The book Vles Knyha Trilingual Dictionary deals with the subjects of history and language as introduced by this manuscrtip’s contents. 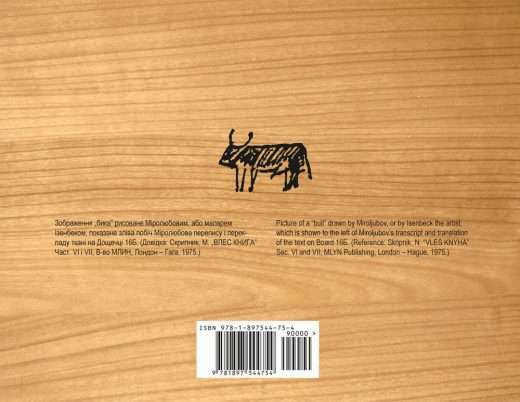 Essentially it is a record of the ancient Slavs, written by themselves in their own language. Due to limited studies of the manuscript made to date, significant academic questions remain to be thoroughly studies and answered by scholars. In this regard, current unprecedented developements in information dissemination and exchange make publication of this manuscript in English acutly opportune for further academic progress. The Trilungual Eddition of the Vles Knyha Manuscript is being published to engage international scholars in expanded studies of the historical and linguistic aspects of the manuscipt. Questions raised and answers implied by this ancient manuscript encompass considerably more than soley the past of the Slavs. In commentaries, the transletor implies that the contents of the texts may clarify some significant nebulous chapters in currently accepted written histories. For example, did the Aryan invasion take place from Europe to India, or vice versa, or not at all? Concerning Etruscans, were they bilingual, while writing only in their adopted religious language? What about the derivation of the name “Slavic” in India, and the expanse of their ancestral homeland? Hints to the answers of such questions can be sought in Vles Knyha. This volume contains all currentlu available original texts, and their translation in to Ukranian, as an intermediary language, and also into English. The supplimental dictionary, Vles Knyha Trilingual Dictionary, provides the meaning fo every Slavenian word found in the 22,000-word manuscript.